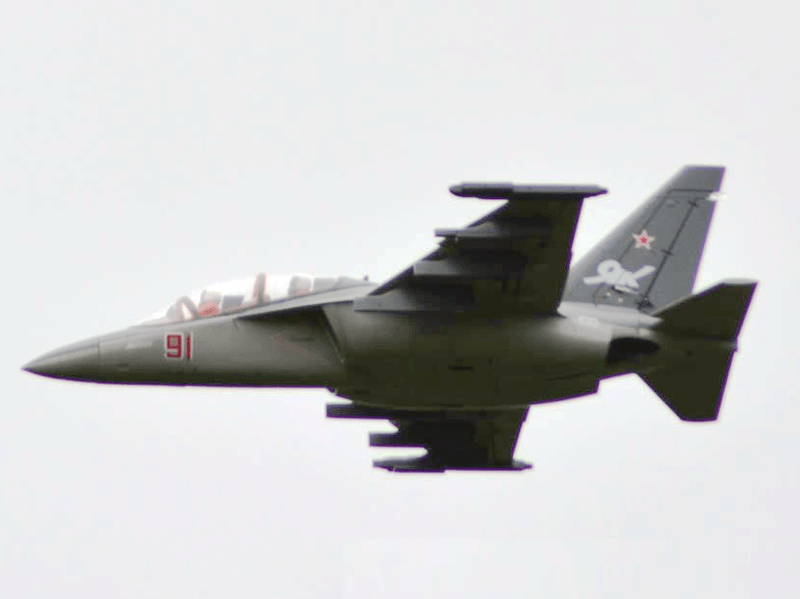 Yakovlev Yak-130. 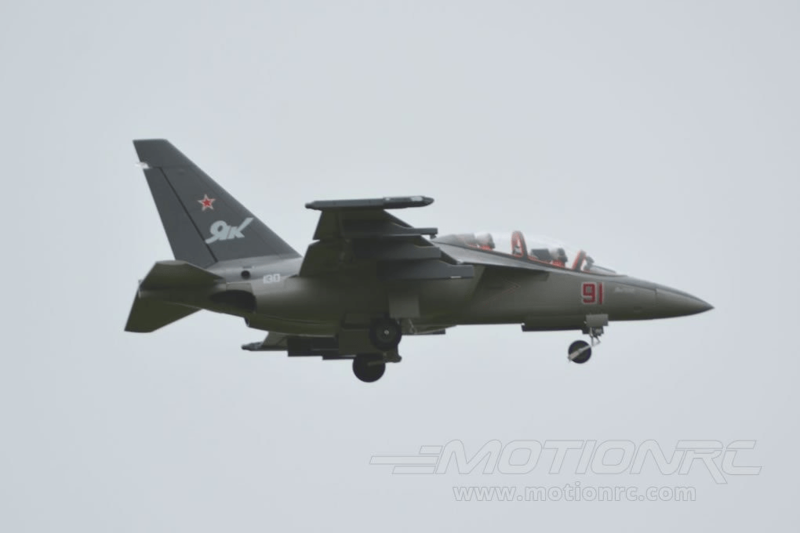 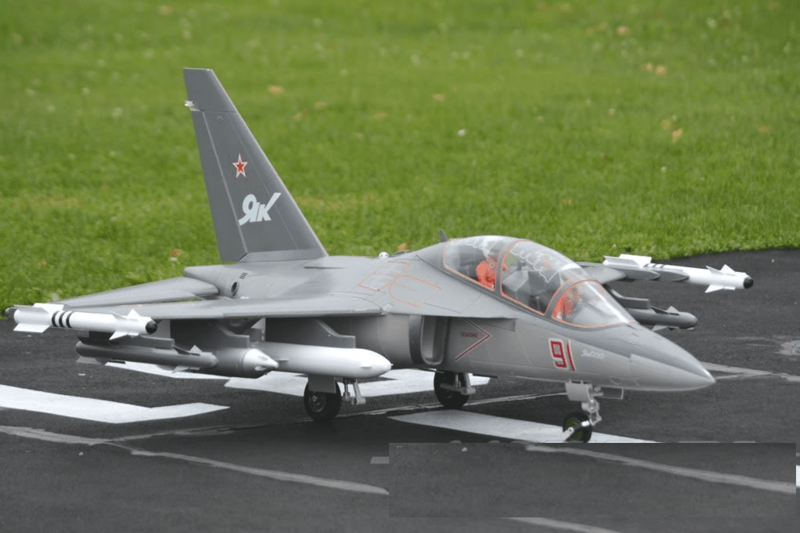 Designed as a trainer/light attack aircraft and entering into service in 2009, the Yak-130 is the most advanced trainer utilized by the Russian Air Force. 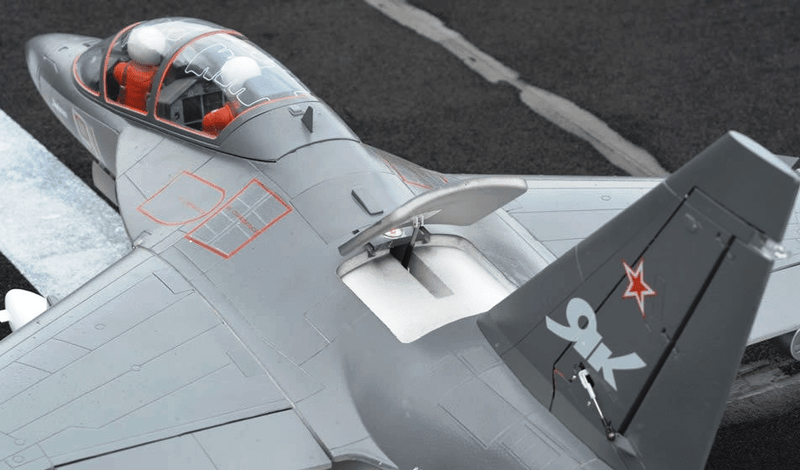 In designing this aircraft, Freewing has captured literally every detail of the full-size aircraft from the full painted ordinance to the two-seat cockpit with detailed instrument panels. 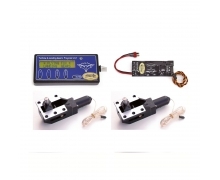 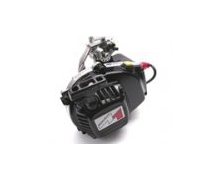 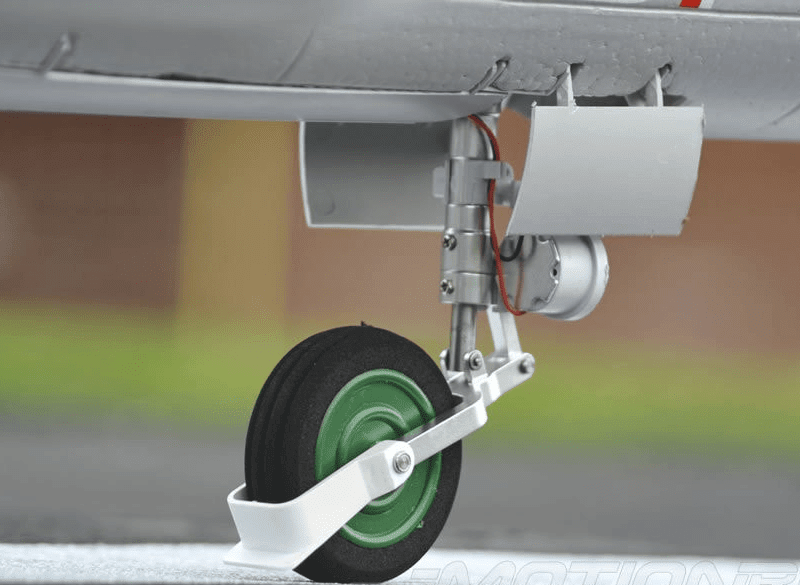 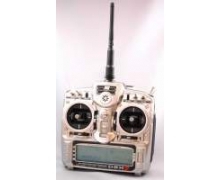 High end electronics and hardware are abound on this model from the super bright 3W navigation and landing lights to shock absorbing aluminum landing gear to the metal gear servos on every control surface. 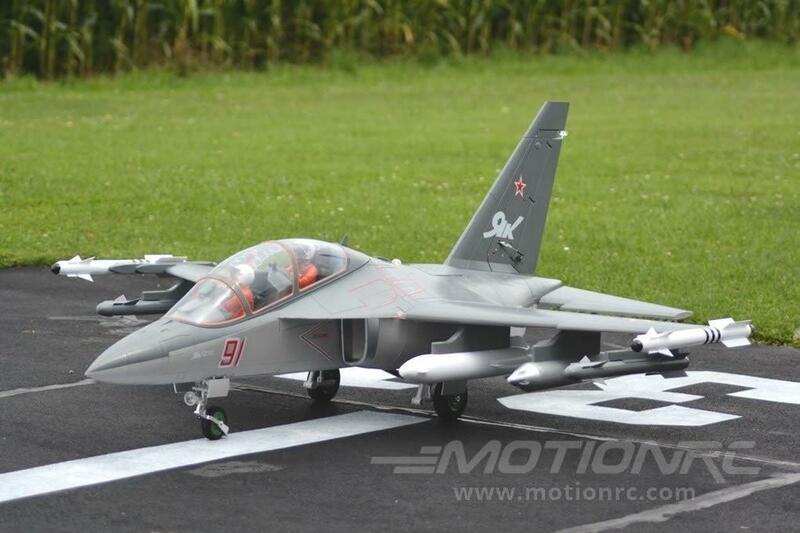 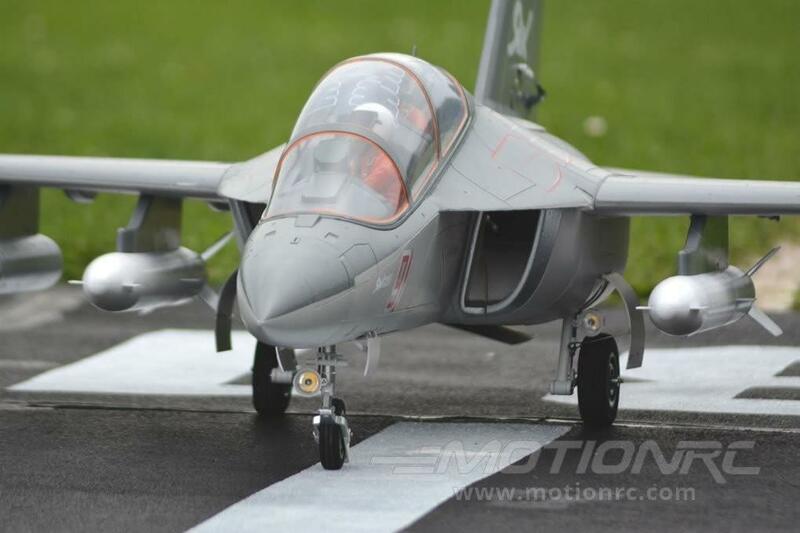 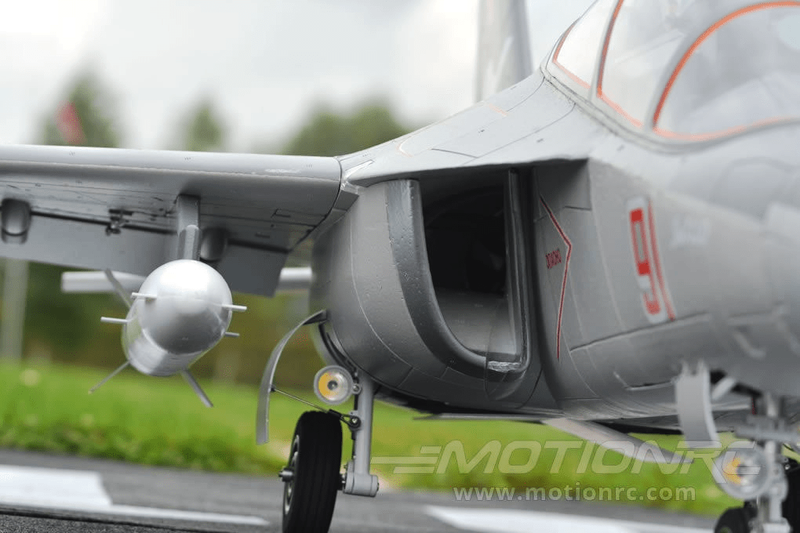 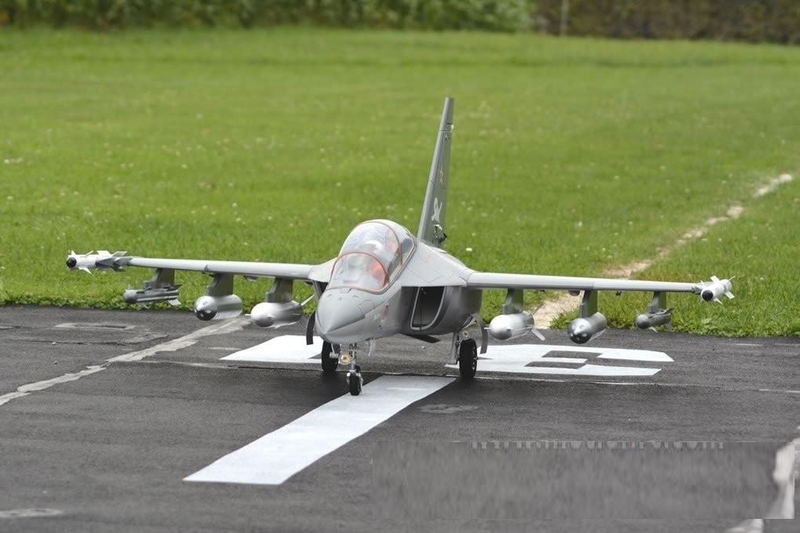 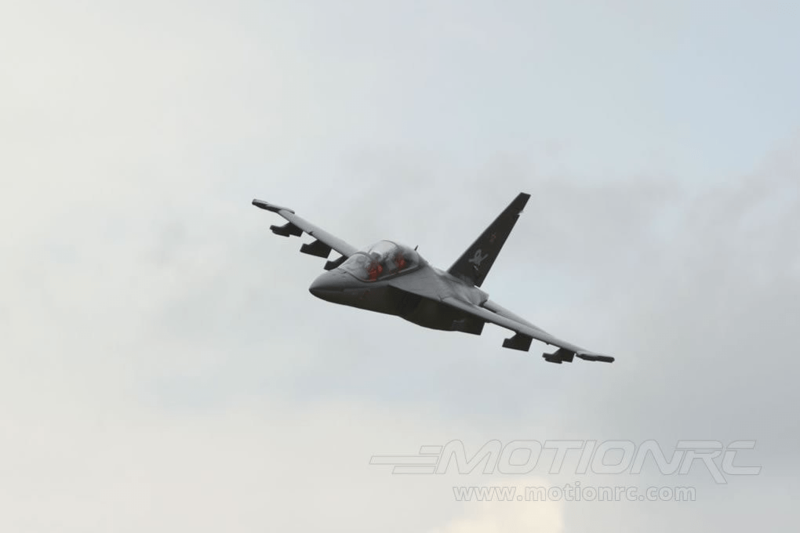 This 8S version of the Yak-130 is powered by a massive 1250kV motor and Hobbywing 150A ESC, and with its 12 blade fan with metal housing, the Yak sounds every bit as good as it looks. 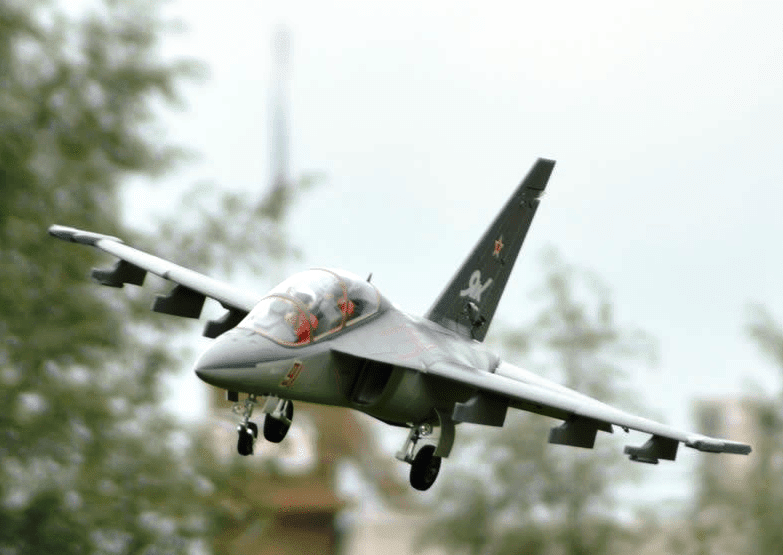 If you typically fly 5 and 6 blade EDF jets, you'll be blown away at the sound this 12 blade EDF produces. 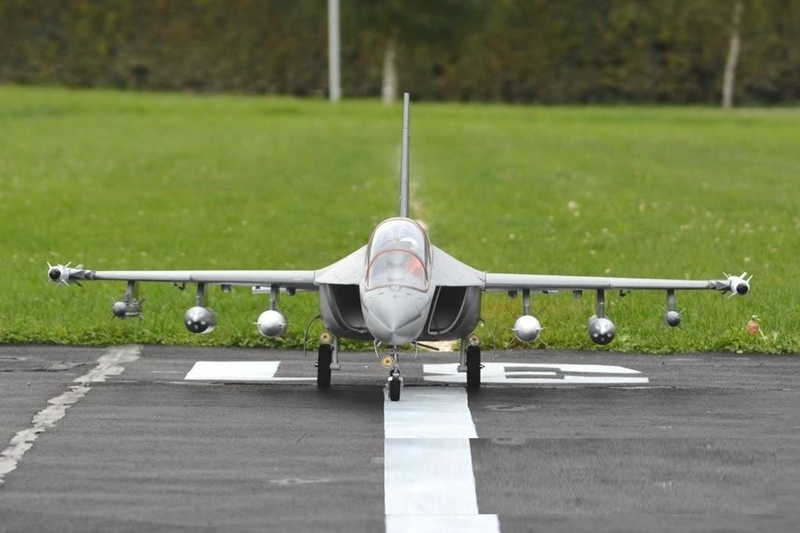 While 5 and 6 blade EDF produce a high pitched whining sound, the 12 blade EDF with metal housing produces the "whoosh" and air crushing sound similar to a gas turbine jet. 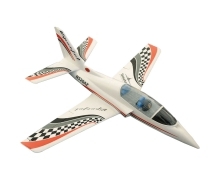 If you are a scale jet flyer looking for top of the line quality and superb detail, the Freewing Yak130 will not disappoint.